All the recent Venom mini-series culminate in the month of April in Venomized, which picks up where the recent X-Men Blue team-up event ended. The Poisions are coming for the entire Marvel Universe. Which Marvel heroes will be next to merge with a symbiote? 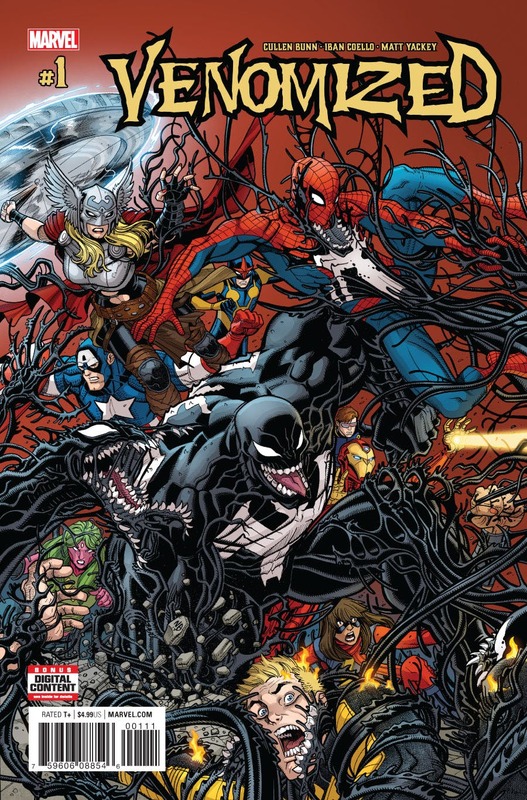 Appearance estimates center around Venom, the X-Men Blue team, and any hero who shows up on the solicited cover. The Avengers race to the conclusion of their “No Surrender” event and more of the heroes may be waking up from their stasis. But like the previous month, estimates are based around the heroes who have appeared in at least one of the recent four issues. Which Avengers will be worth the risk in the finale of the story? Wong leads the Midnight Sons in the final charge on Hotel Inferno in trying to save Doctor Strange’s soul. Ghost Rider, Iron Fist, Moon Knight and Scarlet Spider each have a solo title tying into Damnation but whether they show up in each other’s book is a gamble. As this story ends, you can also expect the possessed heroes – Captain Marvel, Black Panther, Hawkeye, Falcon and Thor – return to their normal, non-demonic selves! The Infinity Countdown book looks to mainly feature the Guardians of the Galaxy, but Adam Warlock should make an appearance this time around. The colorful X-Men books continue with the new rosters as well as a wedding celebration in the pages of Gold. Rogue continues her impressive start to the year by topping the power ranking estimates. As always, dopplegangers of our main characters are called out for easier identification and to distinguish them from our prime universe heroes. 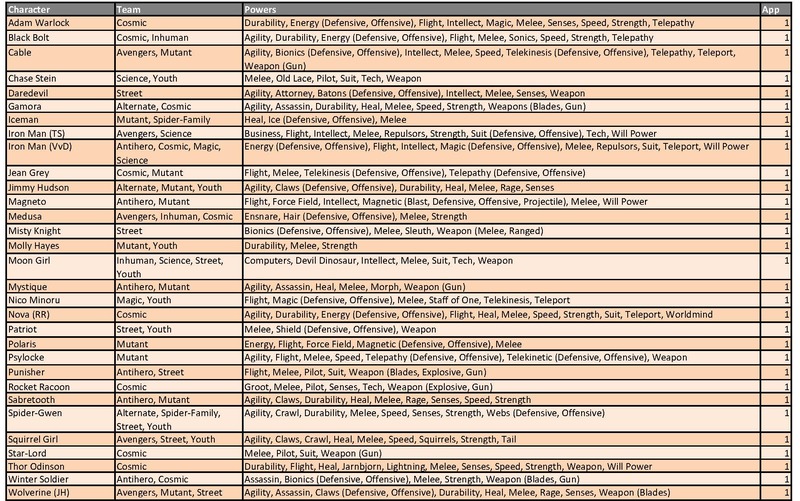 Be wary of the characters found in Avengers: Back to Basics, Amazing Spider-Man: Renew Your Vows, Marvel Super Hero Adventures, Marvel Rising, Old Man Hawkeye (with the exception of Old Man Logan), Thanos: Infinity Siblings and the Marvel Cinematic Universe-related books as they are not the same heroes as the ones featured in the below tier charts.